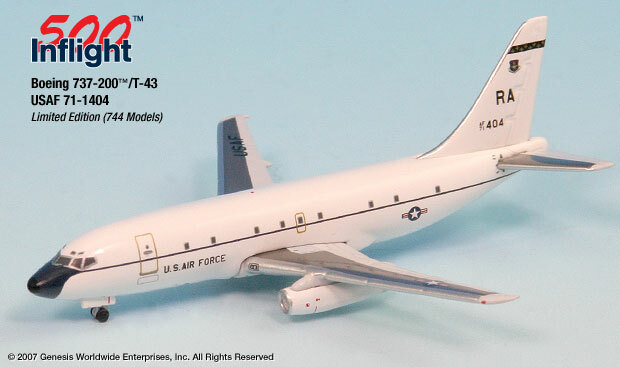 This model represents the U.S. Air Force T-43 71-1404 as it appeared in 2006. 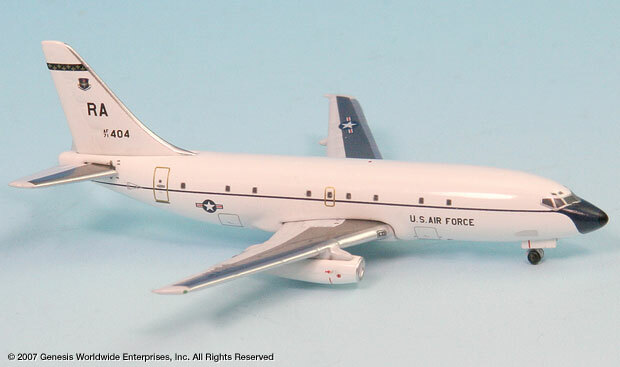 The T-43 is a modified Boeing 737-200 used by the U.S. Air Force primarily as a flying classroom for Navigator training. Model released June 2007 with 744 pieces produced.